We’re committed to delivering professional and efficient care to patients. At Northwest Endocrinology & Diabetes, we're dedicated to quality, compassionate specialized healthcare for patients of ages 15 years and older, although, Dr. Muhrez will also accept child patients with Diabetes or Thyroid Diseases. Because Dr. Muhrez is on staff at most area hospitals, we have access to the latest technology for treating even the most complex Endocrinological conditions. We encourage you to ask questions or discuss any problems you may have, as communication between you and your doctor is essential to your care. If you don't understand an answer or if a new problem occurs, please don't hesitate to let us know; we are here to assist you in any way we can. Understanding that the rising cost of healthcare is a problem for most patients, we accept a wide variety of healthcare insurances. Additionally, payment arrangements can be made for those patients without health insurance prior to an appointment date. Christine Jensen, M.S., R.D., C.D.E. 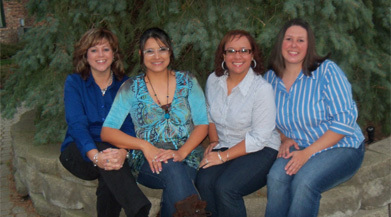 Our highly efficient staff is available to schedule an appointment with you and assist you with your needs. Please call us at: (219) 736 - 1758. Our staff is willing to work with you in regards to payment arrangements and will submit your insurance claims for you. Please bring your insurance cards with you at the time of your visit as well as any other information. Please note your co-payment is your responsibility at the time of your visit.